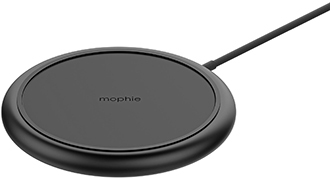 Quick and easy wireless charging. 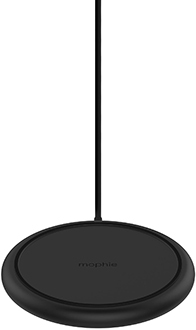 Charge on contact with a sleek wireless charger that fits in any room. Works seamlessly with the latest Qi technology to deliver a safe, reliable 10W charge to Qi-enabled smartphones. Place your phone on the surface and charging begins on contact. There’s no need for you to remove your phone from its case to charge. The Pad+ can deliver a charge through cases up to 3mm thick. 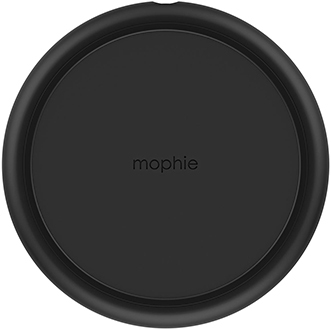 The minimal, low-profile design fits perfectly wherever you choose to charge: at home, the office, while you travel and more. A 360-degree, rubberized, non-slip TPU coating protects your device from scratches and provides a stable surface to quickly drop and charge. Fail-safe circuitry prevents over-charging and controls temperature to prevent overheating. Plus, the low standby current ensures minimal power draw when the pad is idle.